Kids Do The Darndest Things! Ok, Family Storytime again. My daughter-in-law's dog brought a rope in from out back yesterday and I was telling my grandson he should make it a jump rope. That's when I heard it, a sound in my head my sister Lynn and I would say when we jumped rope, chi ka ka, chi ka ka, chi ka ka. 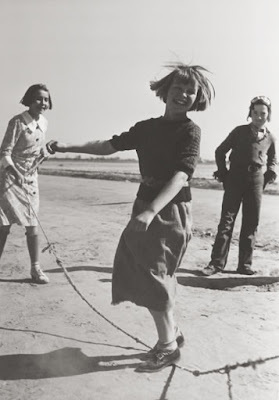 Sometimes we would jump rope without the rope and make that sound. I just had to send her off an e-mail reminding her of our childhood antics. She wrote me back with two more stories about when we were kids. 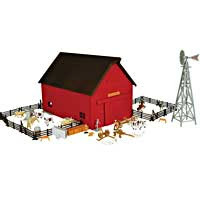 The first was about a little barn set I had. It was metal and was a barn and silo along with a bunch of farm animals, farm equipment and people. We used to put it in my mom's flower bed and create an entire afternoon of fun and imagination pretending the cows were in the field and we were plowing and bringing hay into the barn. We would turn on a hose very lightly and make a stream that flowed around the property. Man, it was so much fun! I think we played for hours in that farming land of fantasy. We were a little older for the second story. 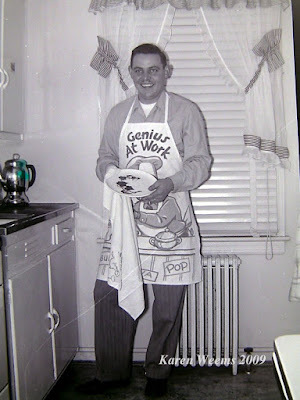 My dad was a smoker and smoked for years. As we all grew up we tried to get him to stop. My sister thought up this idea. We took one of the cigarettes out of his pack and pulled the tobacco out. Then we put it back in but left a blank space he couldn't see. When the lit cigarette reached the empty part, it flared up on fire and almost burned my dad's eyebrows off! We were both in arms reach, not wanting to miss his reaction, which if I remember right, was more of awe than of anger. Did he stop smoking? Nope. But he probably checked his cigarettes from that point on. We were fun loving, mischievous children!